This is a super easy and super delicious side dish. Friends of mine from Indiana came out last summer and they made this side dish. 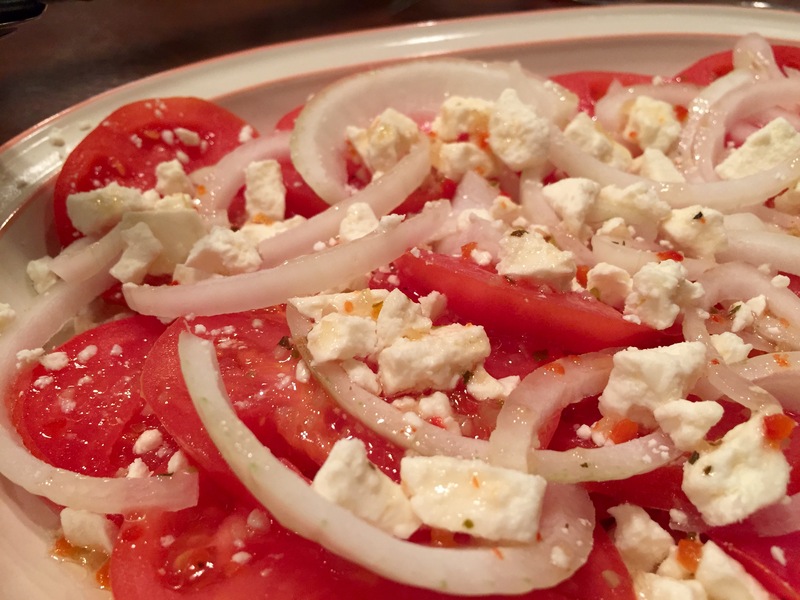 It’s a perfect recipe if you are looking for a delicious way to use up the last of your garden’s tomatoes, if your garden is anything like mine I have more than enough tomatoes at the end of the season. I fell in love with this side and I find myself throwing it together at least once a week to serve as a snack or with supper. Thinly slice the onion and tomato and lay them on a large plate. Drizzle some italian dressing over the top of the entire dish. Not too much because it will soak into the tomatoes and onions pretty easily.